J. 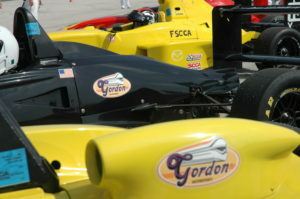 “Gordy” Gordon founded Gordon Motorsports (GMS) in 1982. He is better known in the racing world simply as Gordon. His experience as a racing and precision driver, hands-on mechanical knowledge and ability to communicate effectively with engineers, emphasis on conditioning, and extensive background in film/video production give him unique insights into the sport of motor racing and how it is marketed. Gordon is a four-time SCCA champion who honed his skills at every major driving school in America. He is a graduate of the Bob Bondurant School of High Performance Driving, Bertil Roos Racing School, and every advanced program offered by the Skip Barber Racing School. He also studied under Dr. Robert Tanner, director of Sports Vision at the University of and is conversant in kinesiology, the study of the mechanics of body movements. This knowledge is at the heart of Gordon Motorsports and its newest offering, Speediatrics. 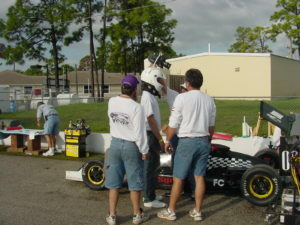 A complete program tailored to the unique and individual circumstances of young, upcoming racers. Speediatrics focuses on areas that are typically not part of a professional motorsports curriculum. Speediatrics combines mental, physical and visual conditioning, marketing and sponsorship acquisition instruction, on-track and on-camera coaching, and much more. Gordon is also the force and “imagineer” behind the Lights, Camera, Traction! Academy. This innovative educational program combines academic subjects such as mathematics and science, practical tool use, video production basics, and many other disciplines into a racing-based curriculum that’s as absorbing as it is educational. The LTCA! 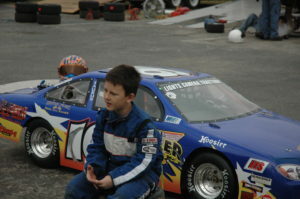 Program is a registered 501(c)(3) charity supported by Gordon Motorsports.